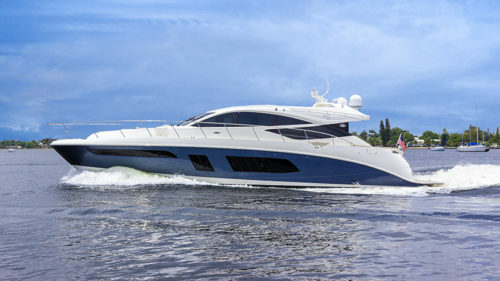 Sea Ray is one of the world’s largest manufacturers of pleasure boats. 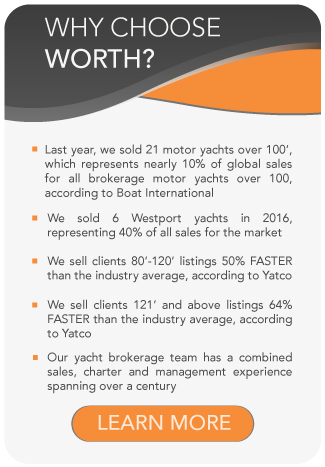 An American grown brand name in the marine industry known for its sports boats and cruisers. Sea Ray currently builds four models: Sports Boats, Sport Cruisers, Sport Yachts and L-Class, ranging from 19.6ft / 5.94m to 65.1ft / 19.84m. Cornelius Nathaniel “Connie” Ray III founded Sea Ray in 1959 in Oxford, Michigan, and built it into the world’s largest boat company at the time with 40 models from 17ft / 5m to 60ft /18m. Growing up in Detroit, Ray strongly believed in General Motor’s means to success: to identify the best capitalized, best located and best run dealerships that existed at the dawn of the automobile era and make them GM dealers. “He believed that distribution was king, that you built a good-quality boat, backed it up, delivered good customer service, and got the best dealers,” said Robert J. Parmentier, Sea Ray’s current president and an employee of Ray’s in the early 1980s. Sea Ray was also one of the first boat builders to use fiberglass and other high-tech composite materials in the construction of pleasure boats. By 1986, when Ray sold his company to Brunswick Corporation, Sea Ray had 4,500 employees and built 28,000 boats a year! Sea Ray is committed to innovation and forward thinking. Their Next Wave program has developed technologies such as Quiet Ride™ and SkyFlow™. Quiet Ride™ is a system of technological advances to reduce noise and vibration. SkyFlow™ design is a stretch of glass overhead the salon, galley and cockpit allowing natural light into the boat.